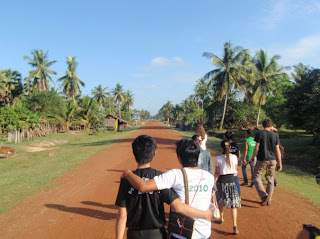 * Walking to the school on the day of the school blessing and ceremony. * mel walks through the school as the children line the road welcoming the volunteers. * Kent, Dean and Mitch patiently watch proceedings. * I give a speech during the school blessing to the entire village. It was a very special moment for me and I will always remember it. 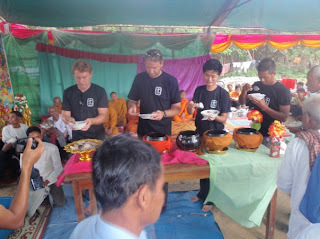 * Volunteers make some more offerings the traditional way. * Josh makes an offering during the school blessing. 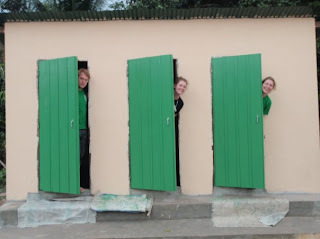 * Our new toilet doors are painted BabyTree green! * Mitch, Claire and Lucy teaches the kids a dance. * Josh shows the kids a magic trick. 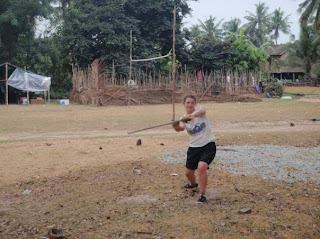 * Jucy has a go at coconut baseball. 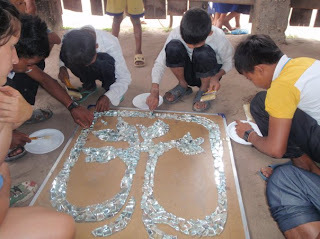 * The boys in the class take a turn in mosaic work.